AUSTIN — The Texas Cultural Trust has announced additional honorees, which includes a Longview High School graduate, for the 10th biennial Texas Medal of Arts Awards (TMAA) to be held February 26-27, 2019, in Austin. Actor Matthew McConaughey will be honored for film as he joins fellow East Texan and fashion designer Brandon Maxwell, author and screenwriter Stephen Harrigan, architects Craig Dykers and Elaine Molinar and the Vidal M. Treviño School of Communications and Fine Arts in receiving the Texas Medal of Arts Award in 2019. McConaughey is an Academy Award-winning actor who made his mark on American cinema through his roles in critically acclaimed films, such as Dallas Buyers Club, Dazed and Confused, A Time to Kill and many others. 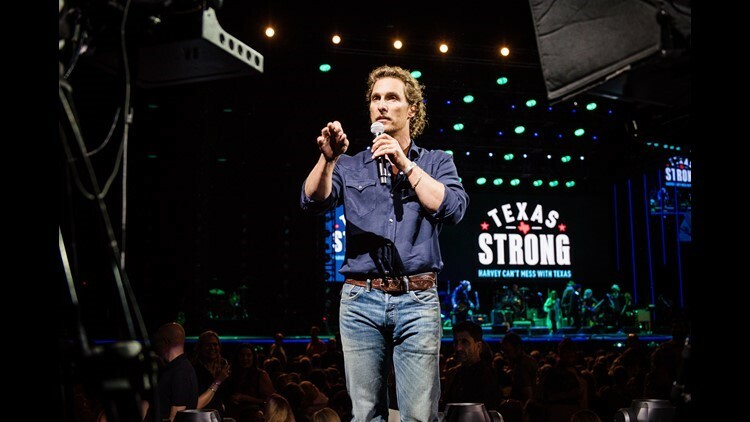 A Longview ISD alum, not only is McConaughey one of Hollywood’s most sought-after leading men, he is also a producer, director and philanthropist. Through his Just Keep Livin Foundation, he is empowering high school students by providing them with the tools to lead active lives and make healthy choices for a better future. artistic opportunity for Texans of all ages. As the signature fundraising event of the Texas Cultural Trust, the TMAA spotlight the power of the arts to improve children’s education, preserve the unique and proud culture of Texas, and stimulate the state’s economy. For more information on the Texas Medal of Arts Awards and to purchase a sponsorship, please visit www.texasmedalofarts.org. For more information on the Texas Cultural Trust, please visit www.txculturaltrust.org or call 512.478.5289.